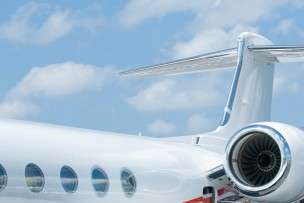 Flight Time for an Aircraft Charter | Stratos Jet Charters, Inc. Flight time is total time an aircraft charter is in flight, from the point of takeoff to landing. This also includes the time the aircraft spends taxiing to and from the runway. Basically, once the ground crew removes the wheel blocks, flight time starts. And it doesn’t stop until the ground crew at the destination airport reapplies the blocks. Hence, flight time is also referred to as block time. It’s worth noting that flight time is calculated differently in the United States than in other parts of the world. For instance, European regulations define it as the time an aircraft charter is airborne. In other words, taxi time isn’t included. Knowing the expected flight time ahead of a trip helps both the operator and passenger. The operator benefits from being able to accurately schedule the desired departure time. The passenger benefits from knowing how long they can expect to be in transit.